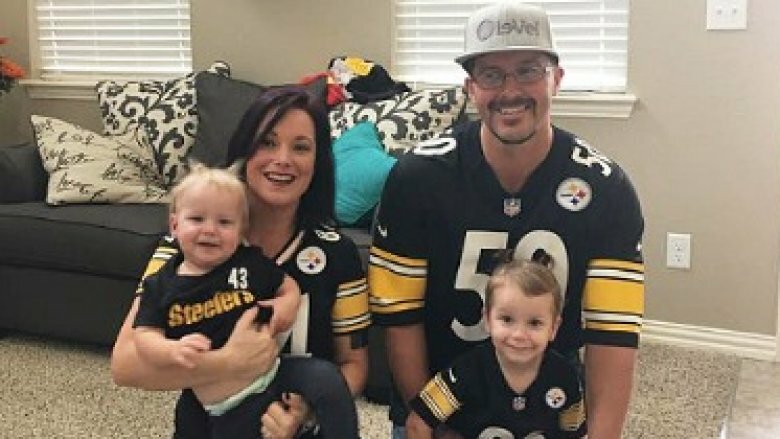 In August 2018, Chris Watts made a televised plea for the safe return of his missing wife, Shanann Watts, and their two daughters, 4-year-old Bella and 3-year-old Celeste, after the three were reported missing by a family friend. "I hope that she's somewhere safe right now and with the kids," Chris told Denver7 in an interview. "If somebody has her and they're not safe, I want them back now." Sadly, only two days after the interview, bodies thought to belong to Shanann and the children were discovered by police at Chris' former place of employment, Anadarko Petroleum Company. 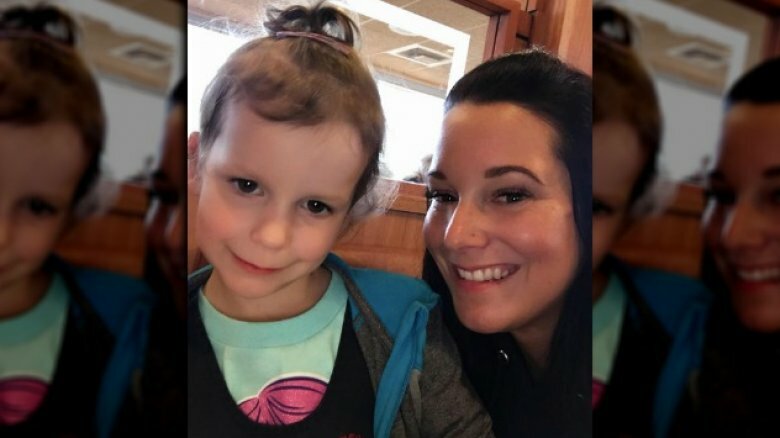 Bella and Celeste's remains were reportedly located in crude oil tanks, while Shanann, who was 15 weeks pregnant, was found in a shallow grave on the property. 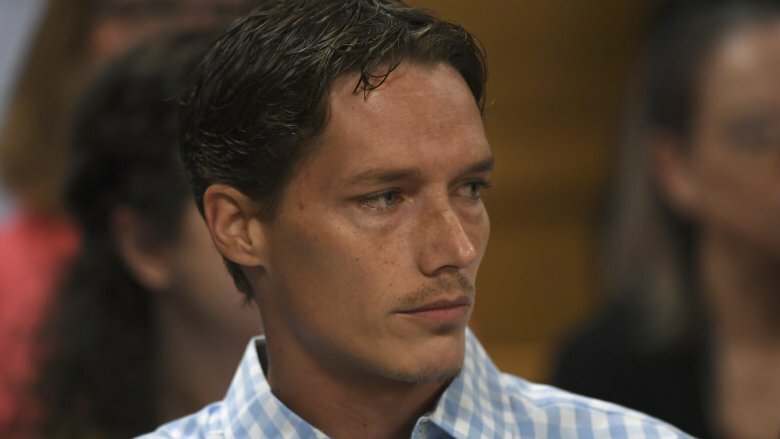 Chris was arrested one day before the remains were recovered, and he confessed to killing Shannan in anger after allegedly witnessing her strangle their two kids (via People). In a sworn affidavit, Chris claimed the killings happened after he told Shanann that he wanted a separation. Prosecutors charged him with nine felonies, including three counts of first-degree murder, as reported by the Fort Collins Coloradoan. In a shocking twist, Chris pled guilty to all of the murder charges on Nov. 6, 2018, just months after he pointed the finger at Shanann. Why? 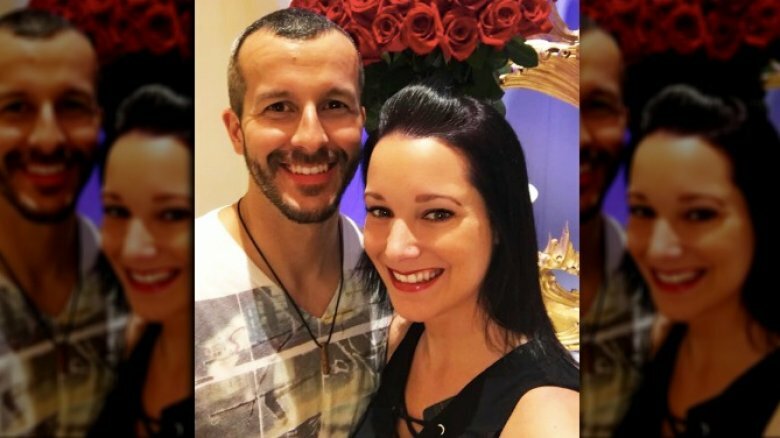 Find out as we explore the untold truth of the Chris Watts case. Why did Chris finally confess? Many people were shocked when Chris confessed to murdering his family on Nov. 6, 2018, almost three months after he pleaded not guilty to the charges. So, why did Chris finally admit to his alleged involvement in the slayings? His plan of action reportedly shifted when prosecutors said they wouldn't seek the death penalty if he confessed to the terrifying crimes. Shanann's mother approved the idea, reportedly telling Weld County District Attorney Michael Rourke, according to The Coloradoan, "He made the choice to take those lives, I do not want to be in the position of making the choice to take his." Although Chris was "angry" about the plea deal, he knew the odds were against him if the case went to trial. "There was physical evidence and his own words that would convict him," a source told People. "His story didn't work. He got angry. He didn't want to plead guilty. But he really had no choice, considering the evidence. It took a little bit of time for him to come around, but he did." Rourke expressed relief that Shanann's name was cleared in the murders of Bella and Celeste, stating, as reported NBC News, "What I can tell you most affirmatively today, by what happened in the court room, is the spotlight that he tried to shine on Shanann falsely, incorrectly and, frankly, a flat-out lie has been corrected." He added, "The spotlight shines directly where it belongs: on him." Why were the autopsies sealed? Shortly after Shanann and her daughters' remains were discovered, there was a lot of speculation about how they died. Although the autopsy reports were completed, the public has not been able to learn about the findings because the documents are sealed. Prosecutors filed for this motion in September 2018 — a request the presiding judge granted — to avoid "tainting witnesses that have not yet been interviewed and impacting future jurors," according to court docs. 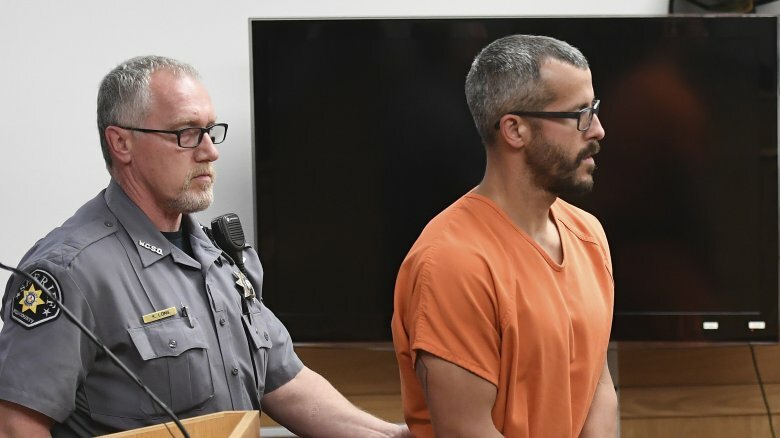 "Shanann Watts, Bella Watts and Celeste Watts were murdered and their bodies moved from the initial crime scene," Rourke wrote in his request to the judge, according to the Associated Press. "There is a great deal of interest surrounding this case and at this time, the cause of the deaths has not been made public. Consequently, the observations and findings contained in the coroner's autopsy report will be critical evidence at trial." Considering Shanann was 15 weeks pregnant at the time of her death, it's reasonable for people to wonder why Chris wasn't charged with killing his unborn son, who they reportedly were to name Nico (via the Daily Mail). The explanation? Colorado doesn't have fetal homicide laws in place, which means authorities weren't able to include Nico on its victim list. A total of 38 states recognize unborn children in murder cases, while eight states — Colorado, Connecticut, Delaware, Iowa, Maine, New Mexico, Oregon, and Wyoming — have laws against harming pregnant women. 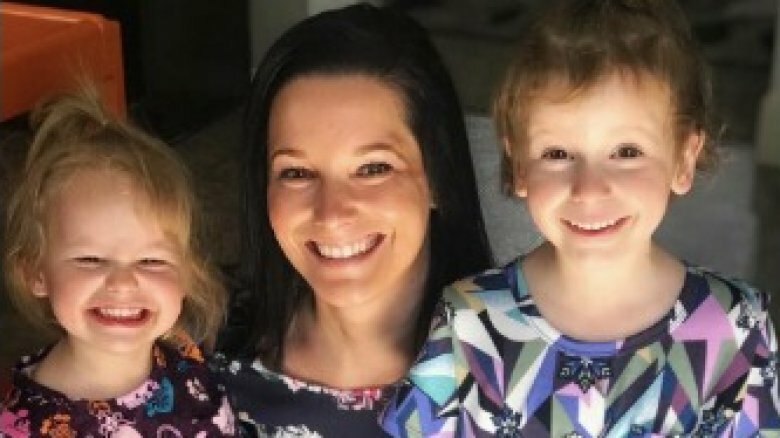 Prosecutors in Colorado, where Shanann and her daughters were murdered, charged Chris with the unlawful termination of a pregnancy in accordance with state law. Although everyone might not agree about fetal homicide laws, authorities in this case must prosecute by the book. Additionally, some might argue that charging Chris with an additional death wouldn't change his punishment. At the minimum, if found guilty, Chris is facing an automatic life sentence without the possibility of parole, according to The Coloradoan. 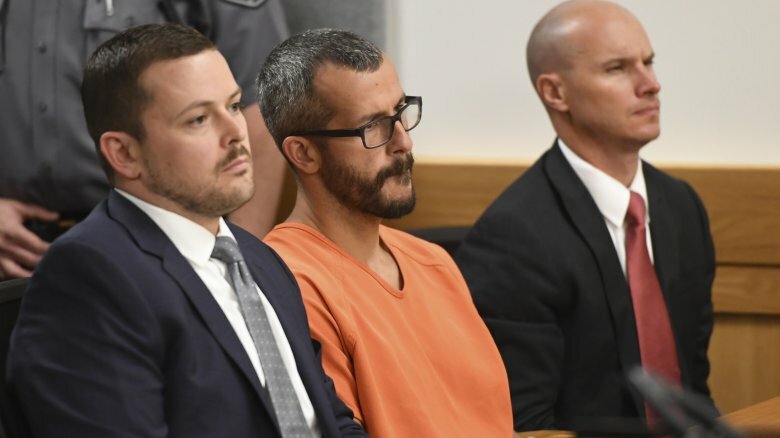 Before Chris Watts pled guilty to the murders, it looked like his defense team was preparing to place the blame on Shanann. Want proof? Chris' lawyers filed a motion for investigators to swab the girls' necks and hands for possible DNA evidence (via The Washington Post). Additionally, the defense requested that a DNA expert of their choosing be present during the collection process, as reported by CNN. The defense was likely trying to back up Chris' past claim that Shanann had strangled their daughters to death following a fight about their marriage. But likely to Chris' chagrin, the judge denied all of the defense's requests. "The court cannot order the prosecution and/or coroner how to conduct their investigation," the ruling stated, according to CNN. Shanann's loved ones were probably relieved that her name was cleared, especially since they had nothing but good things to say about her parenting. "Positive person. She definitely enjoyed life," friend Stacey Fowler told WRAL. "She loved her little girls more than life itself." One of the devastating questions about this case rests on whether Bella and Celeste were already dead when Shanann arrived home from her business trip in Arizona. What we know is this: On the night of Aug. 13, 2018, Shanann was dropped off at her home around 2 a.m. What's especially troubling? Chris was watching the girls while Shanann was away for work that weekend, and prosectors believe it's possible they died "between and including Aug. 12, 2018, and Aug. 13, 2018" (via AJC). This timeline seems to suggest Chris allegedly harmed his daughters before Shanann arrived home. It's worth noting that authorities charged him with two counts of "killing a child under the age of 12 while the defendant was in a position of trust." Although Chris later pled guilty to the murders, it's not clear if he also confessed to killing the girls before Shannan arrived home. Whenever a murder occurs, many people look for answers, and this case is no different, as the public has been at a loss as to why Chris murdered Shanann and their two daughters. One of Chris' possible motives involves financial struggles, a common source of tension between married couples. 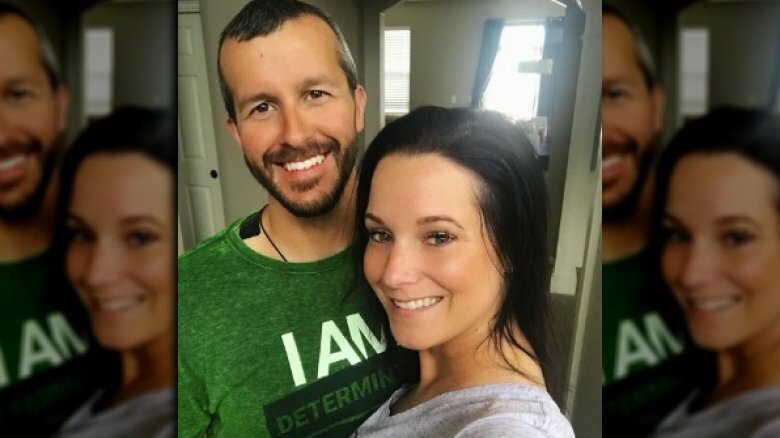 Chris and Shanann filed for bankruptcy in June 2015, after they bought their $400,000 house in Colorado, according to CNN. The two were reportedly $70,000 in debt, a total they racked up thanks to student loans and credit card purchases. Making matters even more dire, the pair had two savings accounts with a total of $9.51 and a joint checking account with $864. Yikes. Although Shanann was doing well financially at her new job (she reportedly made $80,000 a year), it's possible Chris was concerned about the cost of another child. This alleged motive, however, has not been confirmed. Another potential motive? Chris' alleged affair. Denise Mowder, a former prosecutor and an associate professor of criminology and criminal justice at MSU Denver, theorized that Chris allegedly murdered his family in order to live a care-free life with his rumored mistress. "I think he had a vision of another life with this other woman — carefree, no responsibilities," Mowder told Denver7. "Two children and another on the way, that's a big responsibility." Authorities announced in November 2018 that they reportedly have a "partial motive" for the killings, something they promised to elaborate on after Chris' sentencing (via Yahoo! Entertainment). 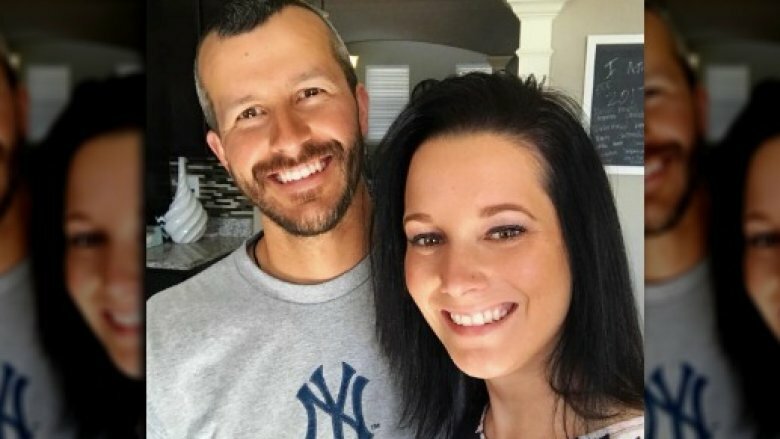 There are a few discrepancies in Chris Watts' version of what happened the night of Aug. 13, something the public is well aware of by now. But what many people don't know is that Chris allegedly lied about Shanann's whereabouts from the very beginning. 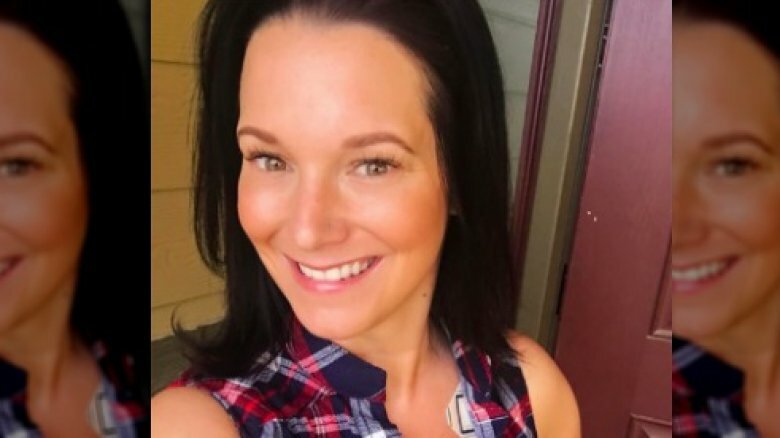 Nicole Atkinson, a friend who was reportedly the last to see Shanann alive, said she knew something was wrong when Chris was supposedly evasive about where his wife went on the morning of her disappearance. Atkinson, who was concerned after Shanann missed an important pregnancy checkup, opened up about her bizarre exchange with Chris to Good Morning America on Aug. 20. "He just kept saying that he didn't know where she was and that she was on a playdate," Atkinson stated, regarding a phone call conversation she had with Chris shortly after Shanann disappeared (via ABC News). "But he couldn't give us the name of the friend. I knew he had something to do with it the day I was at his house with him, but I didn't want to think that." Chris was allegedly having an affair with a co-worker at the time of his family's murders. The disturbing detail came to light in Chris' arrest affidavit, in which police claimed they found evidence of his cheating following an investigation. The co-worker Chris supposedly had an affair with — who has reportedly cooperated with the investigation (via People) — has yet to be identified as of November 2018. In addition to the unidentified co-worker, an unnamed man took to HLN's Crime & Justice with Ashleigh Banfield in August 2018 to claim he carried on a relationship with Chris for ten months (via People). The alleged lover said he met Chris online, and that they parted ways sometime in March or April 2018, as reported by Us Weekly. But multiple news outlets couldn't confirm the man's account, and it's not clear if police have investigated his allegations. What is obvious? Many people weren't happy that the show's host, Ashleigh Banfield, went ahead with the interview given the lack of corroborating details. Whether Shanann knew about Chris' alleged affairs or not, the answer isn't clear. "There was speculation [about an affair], but she didn't want to believe that either," Shanann's friend Nicole Atkinson said in an interview (via ABC News). "He wasn't being the loving Chris that he normally was. He wasn't touching or hugging or doing stuff like that. And he wasn't being as attentive to the girls as he normally is." Was Shanann and Chris' relationship for show? One of the most haunting aspects of the Watts murder case is Shanann's social media presence. Shanann's Facebook account featured countless photos of the mom happily posing with Chris and their two daughters, as well as snaps of the couple enjoying romantic vacations together. Translation: Shanann and Chris' lives seemed picture perfect. Given the tragic events that occurred, it's fair to wonder if Shanann and Chris were putting on a front for the outside world. A neighbor named Melinda Phillips suggested as much in an interview with People, recalling an "argument" she witnessed between the two earlier in the summer of 2018. "Their body language was really angry, and they were just fighting back and forth," Phillips described. "He was gesturing his hands and they were shaking their heads, and it was definitely an argument." But things took a strange turn when Shanann and Chris supposedly caught Phillips' eye mid-fight. "They caught my eye and suddenly, everything changed," she said. "They stopped being so angry, and they started talking a lot more calmly. He even gave her a hug. Mind you, this was in the space of 30 seconds to a minute." Phillips added, "From a full-blown fight to hugs in less than a minute, it was incredible." In television and film, murder suspects are often portrayed in an unflattering light. Whether they're a loner or are emotionally disturbed or angry, there's typically something off about someone who is accused of a violent crime. But in the case of Chris, this stereotype doesn't seem to fit. One high school friend, for instance, couldn't believe the Chris she knew had been charged with murder. "Most of our conversations that I recall were about music and things like that," former classmate Brandi Smith told the Daily Beast. "I was a bit of an outcast and he kinda just seemed to understand me." "Everyone liked him," Smith added. "It's actually amazing how many people that knew him have completely turned on him and think he's this monster when he hasn't even been convicted." Then there's Lance Alfonso, who played football with Chris. "I've never seen him ever get angry at anybody, even on the football field," Alfonso revealed to the Daily Beast. Of course, a lot can change between high school and adulthood, and you can never know what's truly going on inside another person's head. Did Chris' weight loss play a role in the murders? 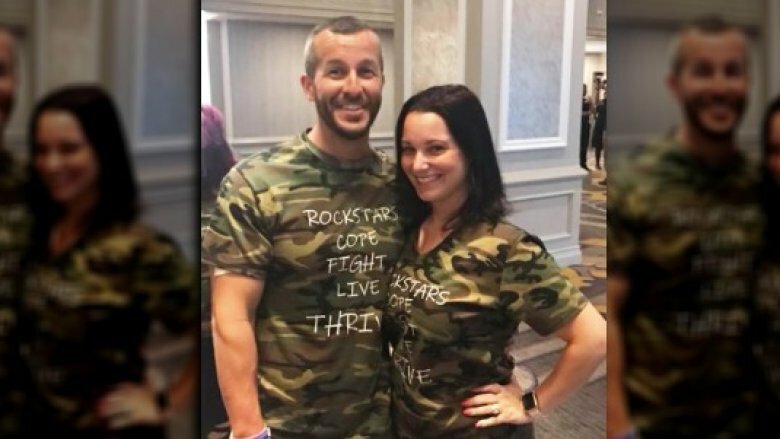 Prior to the murders, Chris Watts developed a healthier diet and adopted more active lifestyle changes that led him to lose a decent amount of weight. Some speculated that Chris' body transformation might have had something to do with the murders of his family, a sentiment one reporter touched on in an interview with the couple's close friends. "When he lost weight, did you notice any changes in his confidence levels?" a 9News journalist asked Chris' former buddy Nick Thayer. As captured in a video, Thayer responded, "The only kind of difference I saw change in confidence was with his running ability. I had been running for quite a bit more time than he was and he was just getting into it. So, you know, I would text him, 'Hey, I'm gonna go for a seven-mile run,' and then he, after that, would be like, 'Yeah, I just ran seven miles.'" As for Chris' personality, Thayer said he didn't note anything off about his ex-pal's persona. "That part didn't change," he shared. "It was always shy Chris." Did police waste time in the investigation? 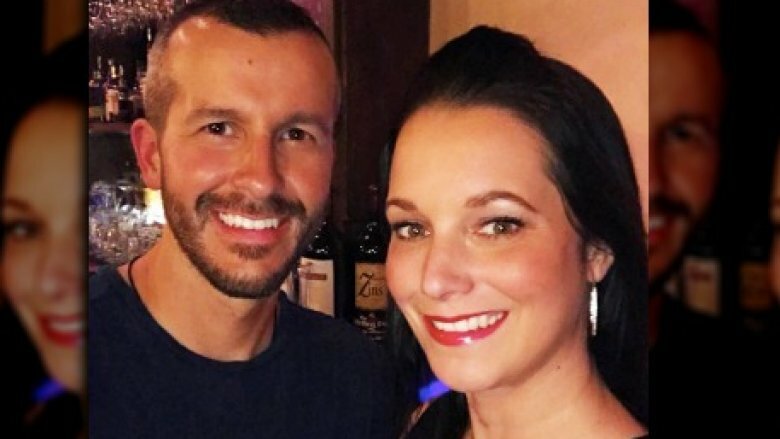 Shanann's younger brother, Frank Rzucek, took to Facebook shortly after Chris Watts' arrest to express his rage and sadness about the situation. "I just want to know why. My precious family my one and only sibling, my sister Shanann, 2 adorable nieces Bella and Celeste and her soon to be found out unborn son Niko," he wrote, according to a screenshot obtained by The Sun. "I just want 30 seconds alone with that heartless psychopath. May Satan have mercy on his soul." But Chris wasn't Rzucek's only target. He also went after investigators for supposedly taking too long to arrest Shanann's husband, writing, "The cops drug their feet. He was the only one with them and backed his truck into the garage. Doesn't take a genius to know who was suspect. My blood is boiling and the pain and anger and sadness I have in my heart." Rzucek ended his post with a message for Chris, saying, "Nothing absolutely nothing would get in my way of taking away his life like he did mine and my ENTIRE FAMILY." Regarding the timeline of the investigation, cops arrested Chris two days after Shanann was reported missing. It's likely Rzucek was frustrated that authorities didn't take Chris into custody the same day his sister went missing.